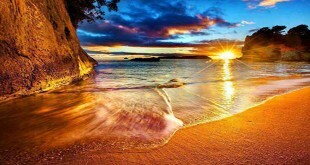 All praise be to Allaah, lord of all the creation, and may there be salutations and blessings upon the true Messenger. 1) Interpreting and deducing from the generality and understanding of the Quraan and Hadeeth. 3) Analogical reasoning which does not contradict or oppose the legislated evidences. Interpretations ie ijtihad is permissible according to the Ahlul Hadeeth and therefore after interpreting and deducing from the 3 sources of evidence of the legislated Sharee’ah, acting upon the fourth evidence is also permissible (ie correct or authentic Qiyaas, analogical reasoning) on the condition that it does not oppose and contradict the Quraan, Sunnah, ijmaa and the reports of the Salaf us-Saaliheen, in other words according to the Ahlul Hadeeth the 4 aforementioned sources of evidence with their understanding constitute evidence. NOTE WELL:- ijtihad ie interpretation of the texts is something that is conducive to time and temporary hence therefore it can not be established to be legislation forever. Similarly the interpretation of one individual cannot be imposed as binding evidence upon another. After this brief prologue we present answers to some of the objections and allegations of some of the people upon the Ahlul Hadeeth. The Ahlul Hadeeth only have 2 sources of evidence ie the Quraan and the Hadeeth and therefore they don’t have a third source. So we find according to the Ahlul Hadeeth if the ijma of the Ummah is proven to be established then it is a legislated evidence. This is why every issue of the monthly al-Hadeeth magazine it says, “Upon the understanding of the Quran, Hadeeth and ijma.” We should also remember that according to the Ahlul Hadeeth ijtihad is permissible as has proceeded in the prologue, all praise be to Allaah. They say according to the Ahlul Hadeeth every individual has the choice to understand the Quraan and Hadeeth according to their own understanding, instead of the understanding of the Salaf us-Saaliheen. This allegation is totally baseless and incorrect rather on the contrary to this Hafidh Muhaddith Abdullah Raupari (d.1384H) said, “In summary we only know one thing and that is that it is impermissible to oppose the Salaf.” (Fatawa Ahlul Hadeeth (1/111). Only Bukhari and Muslim constitute evidence according to the Ahlul Hadeeth and they don’t accept the other books of Hadeeth. This allegation is also baseless and futile because according to the Ahlul Hadeeth the authentic Hadeeth whether they are in Saheeh Bukhari, Saheeh Muslim, Sunan Abee Dawud, Sunan Tirmidhi, Sunan Nasai, Sunan Ibn Majah, Musnad Ahmad, Musannaf Ibn Abee Shaybah and the other books of Hadeeth or whether they are a Saheeh or with a Hasan Li-dhatihi chain in other books of Hadeeth. 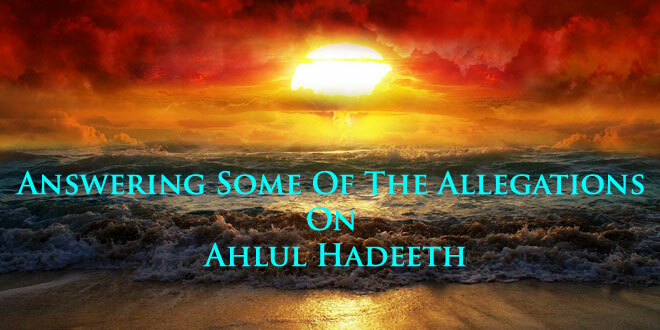 All of my books including the monthly al-Hadeeth magazine are a testification to this that we on addition to using the ahadeeth from the Saheehain also use Sahih narrations from other books of Hadeeth as evidence. The Ahlul Hadeeth do not do taqleed. The famous scholar of Ahlus Sunnah Hafidh Ibn al-Qayyim said, “This innovation (ie of Taqlid) started in the fourth century.” (A’laam al-Muwaqqi’een (2/208) The issue of doing Taqlid in the Deen (pg.32). It is known with certainty that salvation in this life and in the hereafter lies in acting upon the Quraan and Sunnah and abstaining from innovations. Waheed uz-Zaman said this and Nawab Siddique Hasan Khan said that, Noor ul-Hasan said this and (Muhammad Hussain) Batalwi said that….. Whether it is Waheed uz-Zaman, Nawab Siddique Hasan Khan, Noor ul-Hasan or Batalwi , then none of them are from the leaders of the Ahlul Hadeeth and even if they were, the Ahlul Hadeeth are not fanatical about their elders anyway. Amin Okarwi deobandi taqlidi accepted that the scholars of Ahlul Hadeeth and the general people are all in agreement and declared the books of Waheed uz-Zaman to be erroneous and hence rejected. (Tahqiq Masalah Taqlid pg.6) Shabir Ahmad Usmani the deobandi liked Waheed uz-Zamans translation of Sahih al-Bukhari (Refer to Fasl al-Bari (1/23) by Muhammad Yahya Siddiqui Deobandi. Waheed uz-Zaman also considered it obligatory for the general masses to make Taqlid (Refer to Nuzul al-Abrar (pg.7) printed by deobandis) therefore whilst being just and fair in this issue Waheed uz-Zamans statements should be presented against the people of Taqlid and the deobandis. (2) The general people of the muhadditheen who possess the correct and sound aqidah and who act upon the Quraan and Sunnah without taqlid. Both of these group of people have existed in every era from the time of the best generations up until today. 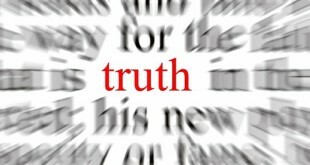 There is no clear evidence from the companions that they did taqleed of one particular individual or taqleed in general, in fact rather Mu’adh ibn Jabal (RadhiAllaahu Anhu) said, “As for the error of a scholar even though he maybe upon guidance then we still do not do taqleed of him in the deen.” (Kitaab uz-Zuhd (1/300 no.71) of Imam Waki, it’s chain is Hasan, also refer to my book The Issue of Doing Taqlid in the Deen (pg.36). None of the companions oppose or differ with them in this and therefore it proves there is ijma ie unanimous agreement that taqleed is prohibited and we also come to know all of the companions were Ahlul Hadeeth. It should also be noted the opposers and those who differ with us, all the evidences they present in support of their argument do not have the word taqleed in them. The famous illustrious tabi, Imam Shu’bah said, “The hadeeth of the Messenger of Allaah (Sallalahu Alayhee Wasallam) these people narrates to you then hold onto them and whatsoever they tell you from their own opinion (in opposition to the Quraan and Sunnah) then reject it by throwing it on the pile of dirt.” (Musnad ad-Darimi (1/67 no.206) its chain is authentic, also refer to The Issue of Doing Taqlid in the Deen (pg.37). Someone mentioned the statement of Sa’eed ibn Jubair in front of Ibrahim an-Nakhai, so he said, “What will you do with the statement of Sa’eed when you have the hadeeth of the Messenger of Allaah (Sallalahu Alayhee Wasallam).” (al-Ahkam (6/293) of Ibn Hazm, its chain is authentic, The Issue of Doing Taqlid in the Deen (pg.38). There is no evidence from a single ta’bi that they allowed or obligated taqlid, therefore it is clearly evident from this and other similar statements that there is ijma ie unanimous agreement in the prohibition of taqlid. This is a clear evidence that all the trustworthy tabieen who had sound Aqeedah were Ahlul Hadeeth. So there is no evidence from a single trustworthy taba ta’abieen with regards to taqlid of a specific individual or taqlid in general. Therefore there is also unanimous agreement that all of the trustworthy taba taabi’een with sound aqidah were Ahlul Hadeeth. So we find all the trustworthy followers of taba tabieen who had sound Aqeedah were Ahlul Hadeeth and did not do taqlid and in fact used to also warns others from taqlid.